When will be Kagaku Ninja-Tai Gatchaman next episode air date? Is Kagaku Ninja-Tai Gatchaman renewed or cancelled? Where to countdown Kagaku Ninja-Tai Gatchaman air dates? Is Kagaku Ninja-Tai Gatchaman worth watching? Gatchaman is an original Japanese TV series (in the Japanese language, containing phrases in English) that preceded the English translated versions. In the future, Earth is attacked by Galactor with a series of mechanical menaces. Each with their own vehicle and unique weapons, only Gatchaman's high tech group of five young people can defend the Earth from Galactor's repeated attacks as they attempt of fulfill their mission to find Galactor's hidden headquarters and finally defeat them. Gatchaman originated the concept of teams of 5 members, with their own vehicles, which has been reused in many incarnations, including Go Lion (which came over to the US as Voltron) and the ranger series (which came over to the US as Power Rangers). Eighty Five episodes of the series were released in a heavily edited and dubbed version in the US called Battle of the Planets and later redubbed and released as G-Force, with even more noticeable flaws. 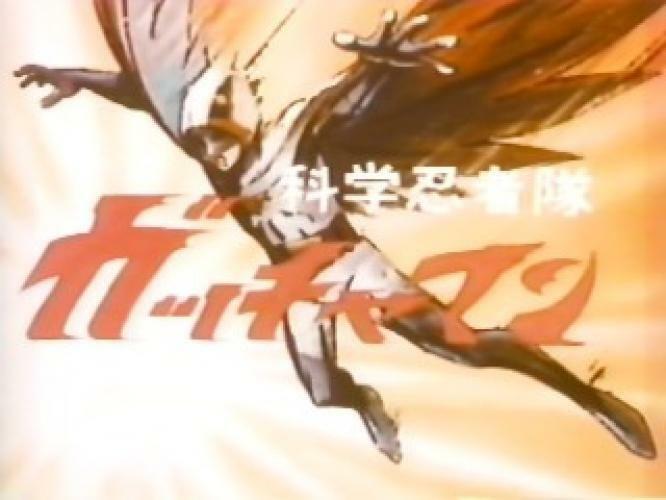 Two sequel seasons to this series Gatchaman II and Gatchaman Fighter were released in Japan. In 2005 ADV Films re-re-dubbed the series in English and began re-re-releasing the series on DVD unedited, including the original undubbed but subtitled Japanese version, marking 33 years since its original release. They are included in this guide too. EpisoDate.com is your TV show guide to Countdown Kagaku Ninja-Tai Gatchaman Episode Air Dates and to stay in touch with Kagaku Ninja-Tai Gatchaman next episode Air Date and your others favorite TV Shows. Add the shows you like to a "Watchlist" and let the site take it from there.